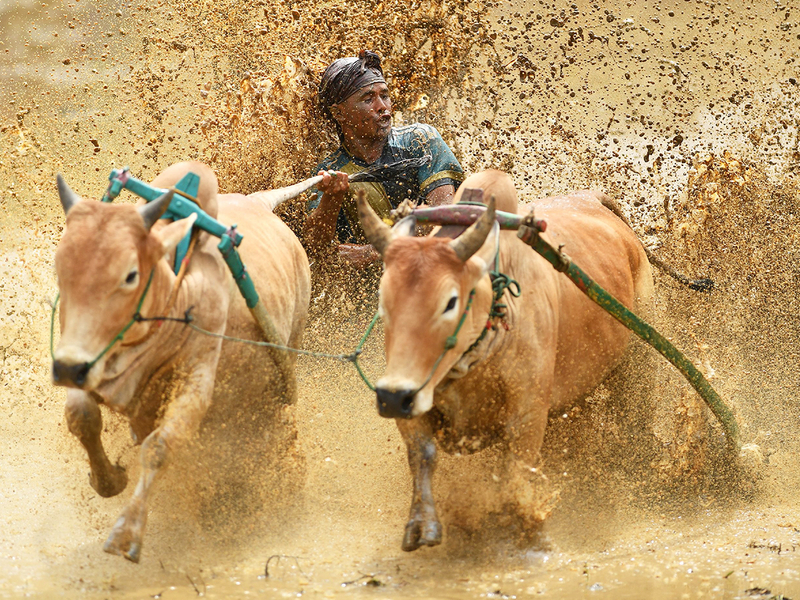 Pariangan, Indonesia: Waves of muddy water slosh over the jockey as he hangs on to the tails of a pair of bulls galloping across the rice paddy. 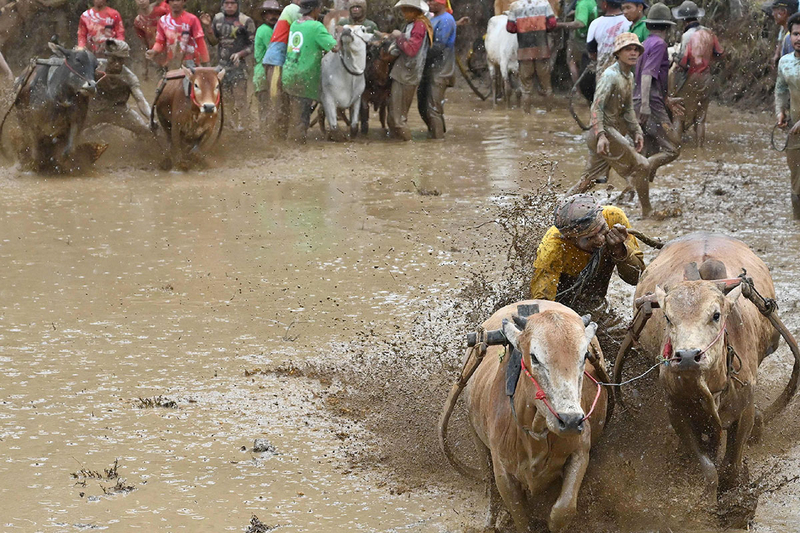 It's a wet-and-wild ride in this remote pocket of Indonesia's Sumatra island, where traditional bull racing known as Pacu Jawi is serious business. 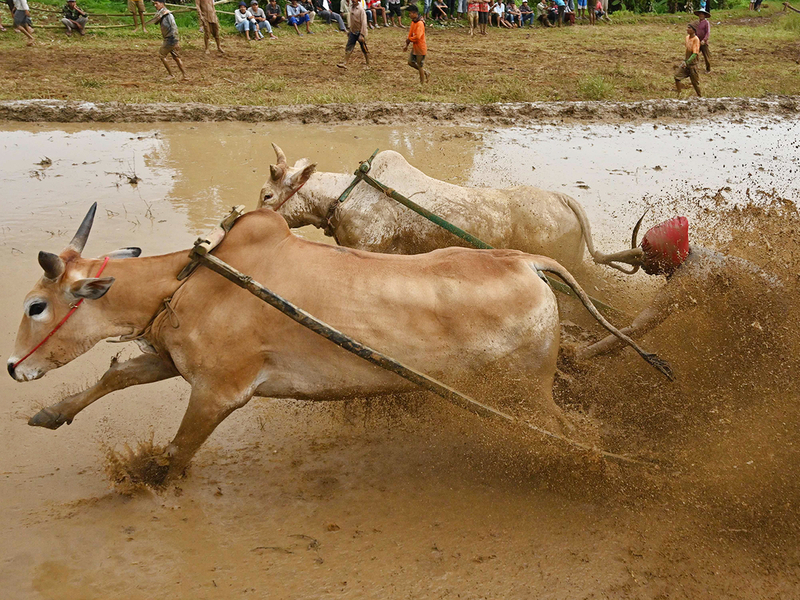 The centuries-old races once heralded the end of rice harvesting season when the emerald paddies had been cleared. 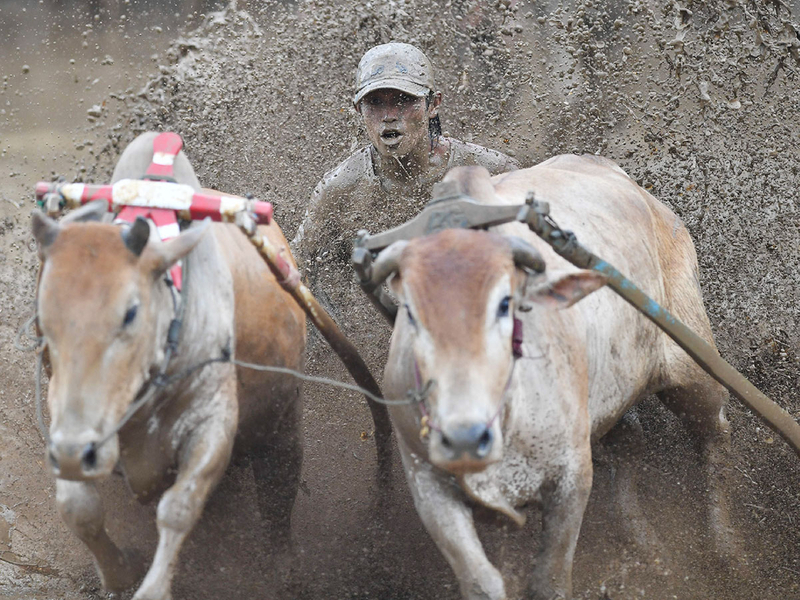 Nowadays, hundreds turn up to cheer on fearless jockeys who can net a bull worth as much as 15 million rupiah ($1,050) if they win a month-end tournament - a princely prize in a country where many live on a few dollars a day. The rules are simple. 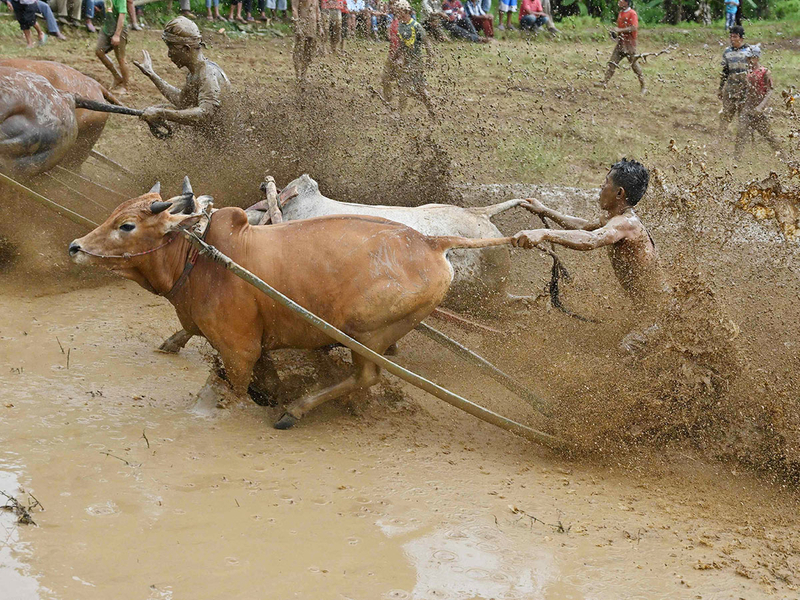 Jockeys grab on to the bulls' tails and race one at a time down the paddy as fast as they can. Sometimes a pre-race bite to the tail gets the animals in a galloping mood. 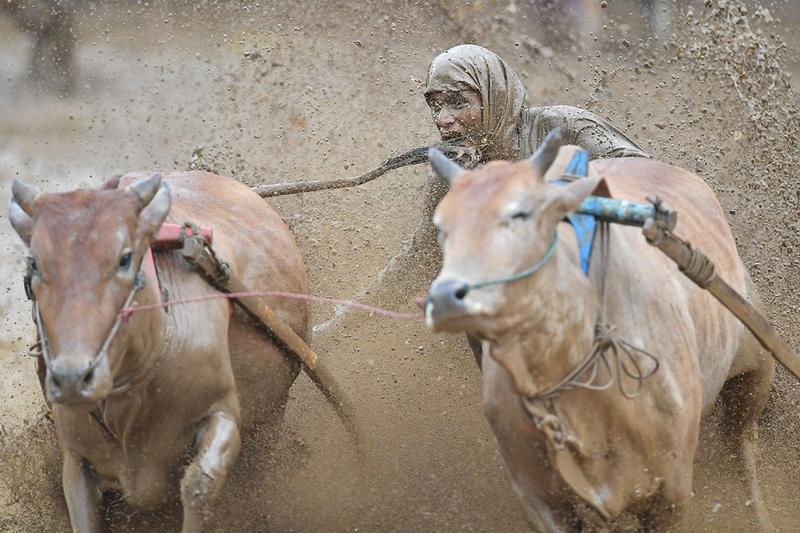 Riders have to stay upright for the 250 metre race or it's all over. 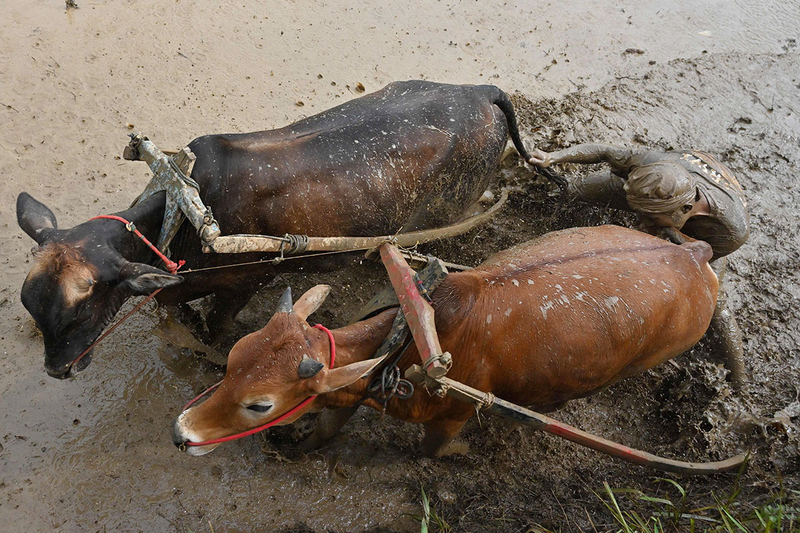 Injuries are part of the job. 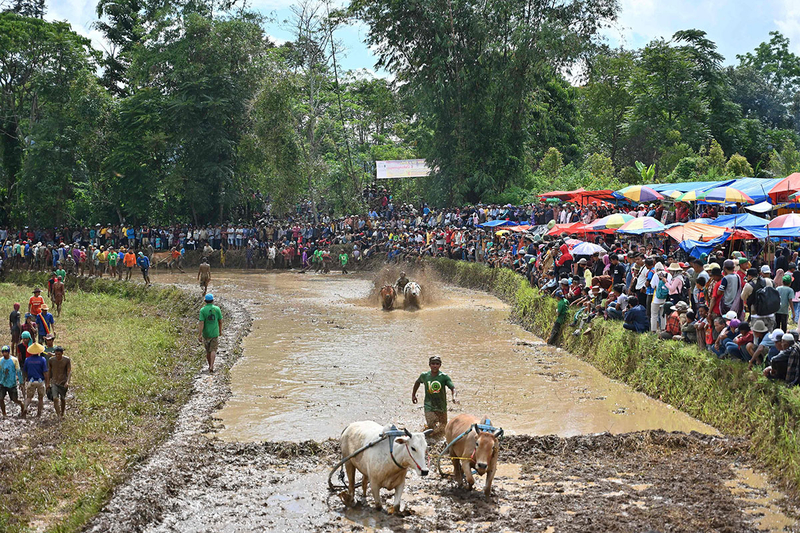 While animal racing can be seen in other parts of the vast Indonesian archipelago - including buffalo racing in holiday hotspot Bali - locals in West Sumatra insist their version is one-of-a-kind.